The relationship between a home buyer or seller and their Realtor is based on trust, shared goals and understanding. No one understands this better than Annette Bryant and Julianne Steinmetz. 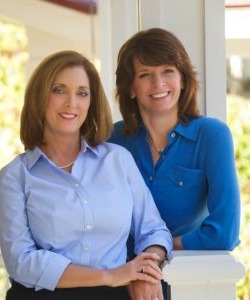 This powerful partnership is known as “Sea Island Property Pros”. Annette is a lifelong career agent connecting people with the places they love. As a former real estate developer and home builder, she has a passion for working with New Homes and Land Developments and remodeling projects. She loves to assist her clients in practical decision making to make the most of their Low Country living experience. “ Moving to Beaufort SC 12 years ago enriched my life and allows me to combine my passion for real estate with loving where I live. Julianne Steinmetz is originally from Pennsylvania. She moved to Beaufort in 2015. Julianne embraces the diverse changes technology has brought to the real estate industry. Her knowledge of cutting-edge industry tools assists our clients in making clear and concise decisions about their homes. Annette and Julianne realize that the real estate process can often be challenging and complicated. Their shared goal is to use their combined experience to guide their clients to make their moves with confidence and peace of mind. With hundreds of satisfied past clients for life this real estate group is ready to make you a part of their Sea Island Family. Member of Beaufort Co Associaton of Realtors, Hilton Head Area Association of Realtors and the Savannah Area Association of Realtors, Pennslyvania Area Associaton of Realtors. Real Trends/Wall Street Journal Top 1000 2014-2017.